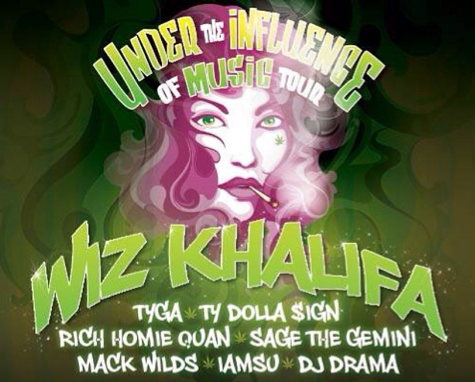 Back with a 2014 version of his ongoing Under The Influence Of Music tour, Wiz Khalifa has announced another series of dates with a number of notable guests. Taking the stage will be Tyga, Ty Dolla $ign, Rich Homie Quan, Sage The Gemini, Mack Wilds, IAMSU! and DJ Drama, who will be stopping by at the likes New York, Virginia, Illinois, Michigan, Ohio and many other locations, which will run from July 24th until August 24th. Take a look at the list of tour dates below.